CBS Interactive, a division of CBS Corporation, is the premier online content network for information and entertainment. Our culture of creativity and collaboration is our foundation; it's present in everything we do. More than 1 billion users visit our properties every quarter. 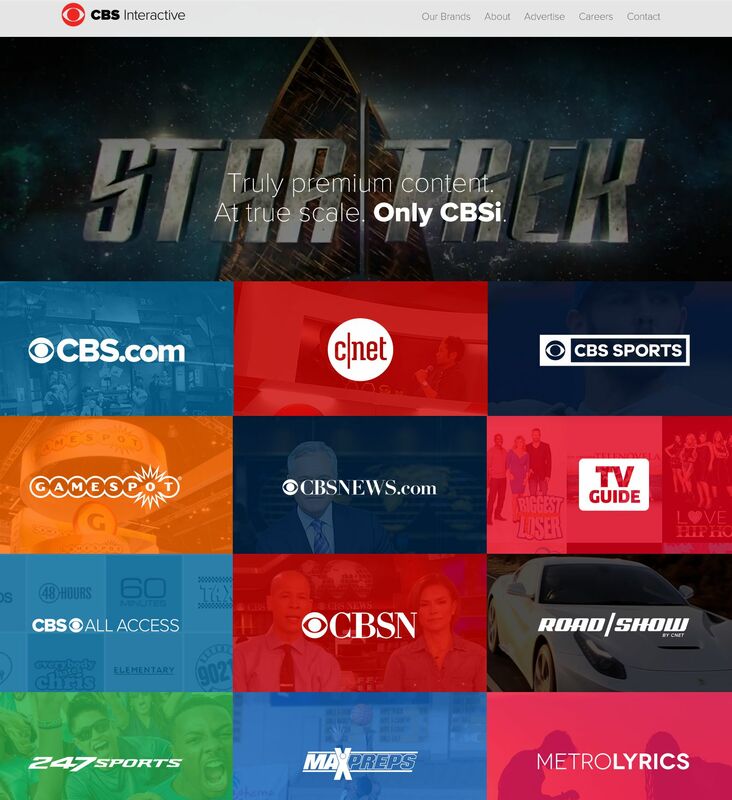 Those properties include brands such as CBS.com, CBS All Access, CBSNews.com, 60 Minutes, CBS This Morning, CBSSports.com, College Sports Live, Chowhound, c|net, Comic Vine, Gamespot, Late Show with Stephen Colbert, The Late Late Show with James Corden, Metacritic, TV Guide and more. With Premium Digital TV, on an average 3 month basis, over 92% of video ads are viewed completely1. This highly engaged audience is watching their favorite shows, streaming live sports or watching breaking news and your brand is featured directly in this premium content. To learn how to advertise on our Premium Digital TV sites, please contact a Comcast Spotlight representative.